Most messages in batch files consist of plain text in the command prompt. We use ECHO to display a message text, and PAUSE or SET /P to wait for confirmation. Sometimes, however, we would rather have a popup message that sits there waiting for confirmation by the user. By far the easiest solution using native commands is NET SEND. NET SEND %ComputerName% This is a popup message. Notes: (1) Though the NET command is still available in Windows Vista and later versions, its SEND option is discontinued. For Pro versions of Windows XP, Vista, 7 and 8, use the MSG command instead. (2) The NET SEND command requires the Messenger service; if this service is disabled, no messages will be displayed. (3) By default the %ComputerName% environment variable is not available in Windows 9x or the "real" MS-DOS versions. Use NetSetxx.bat to add this variable in Windows 98. And this is line 3. Note the empty lines following the carets, these are required to make this trick work. This is line 1 of the popup message. I wouldn't recommend it, though, as it doesn't make the batch file any easier to read. Better use 3 ECHO command in a row to display the 3 lines. NET SEND %ComputerName% This is line 1 of the popup message.¶This is line 2.¶And this is line 3. This may even work in Windows 95/98/ME, but I didn't test that. ECHO This is line 1 of the popup message.¶This is line 2.¶And this is line 3. This is line 1 of the popup message.¶This is line 2.¶And this is line 3. Notes: (1) In Windows 9x escape characters are not available. (2) When using * instead of %ComputerName% to send a message to every computer in the network, the message length is limited to 128 characters. Longer messages will be truncated. In the Pro edition of Windows XP, Vista, 7 or 8, and also in Windows 2000 Terminal Server sessions, use the MSG command to generate popup messages. >  usermessage.kix ECHO $MsgStr = "Multiple lines? @CRLF" + "No problem"
>> usermessage.kix ECHO $Title = "My Personal Message Box"
Unfortunately, combining these input and output dialogs into a single dialog box isn't possible, to do that read the next section. 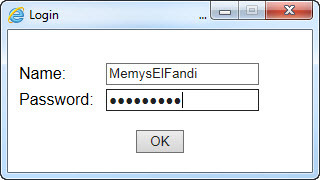 More advanced message boxes, input, output and any combination, including (masked) password prompts, can be created using VBScript and Internet Explorer. However, I would not recommend creating them on the fly. See the VBScript Scripting Techniques section for other advanced user message dialogs. How to prompt for and retrieve user input in batch files. How to generate error messages in the local system language in batch files. How to create custom dialogs using VBScript and Internet Explorer. MessageBox.exe is a batch tool I wrote in C# to display messages in a MessageBox, like VBScript, with more options. Dialog boxes for DOS batch: menus, buttons, input fields, checkboxes, radio buttons, list selection, the lot.